The 1st contender is Angel Marie Ayuste who studied Information Technology. She also finished a welding course in a support school. She is fond of collecting Mickey Mouse and singing. The next contestant is Angel Dumalay Alferos who took up Hotel and Restaurant Management. She is a former SK member and is now a manager of a restaurant. Last but not the least is Christina Maxwell Montecarlo who is a graduate of Physical Education major in sports. She is currently a call center agent and also a freelance trainer of volleyball players in her alma mater. The contenders were told to check their buzzers and describe their answer in 3 phrases. When the 1st question is asked, Angel gave the correct answer and will advance in the next round. For the 2nd question, Marie also gave the right answer immediately and will also advance in the 2nd round while Christina is eliminated. Angel is called and her question says, if you don’t want anyone to fool you, what kind of shape do you want for your head? She answered that she prefers to have a heart shape head because if you have a heart, you will have positivity and she is a loving person. Marie is the next one to be called and her question says; can vampires also feel leaping in their blood? She said that it is possible because they can smell it and they need it to survive. 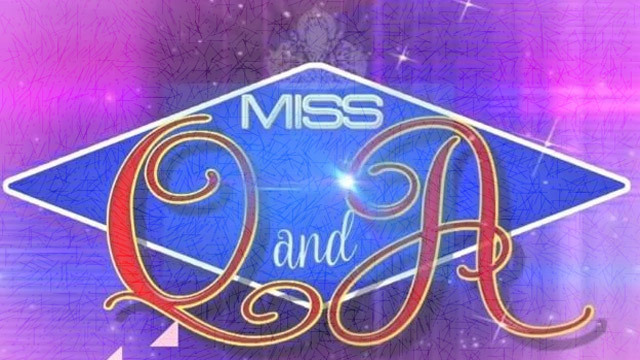 Based on their answers, Angel is chosen to compete with the reigning queen. Angel and AR are going to answer the question that says; when is the time to give up love? The daily winner stated that if many people whom she loves are hurt and affected with her love life, she will give it up. The defending winner on the other hand said that you should not give up love easily especially if you are already married because you promise to have each other no matter what happen. After a deliberation of judges, Angel is now the new queen and will defend her crown tomorrow.